In 2012, after years of quietly doing her own thing on the L.A. stand-up scene, comedian Tig Notaro was catapulted into a brighter spotlight via unlikely means—she used a show at the Largo to share news of her recent cancer diagnosis. The set was instantly declared an all-timer by multiple comics in attendance, including Louis C.K., who would later distribute an album of the performance, titled Live (pronounced in the verbal and not adjectival mode). 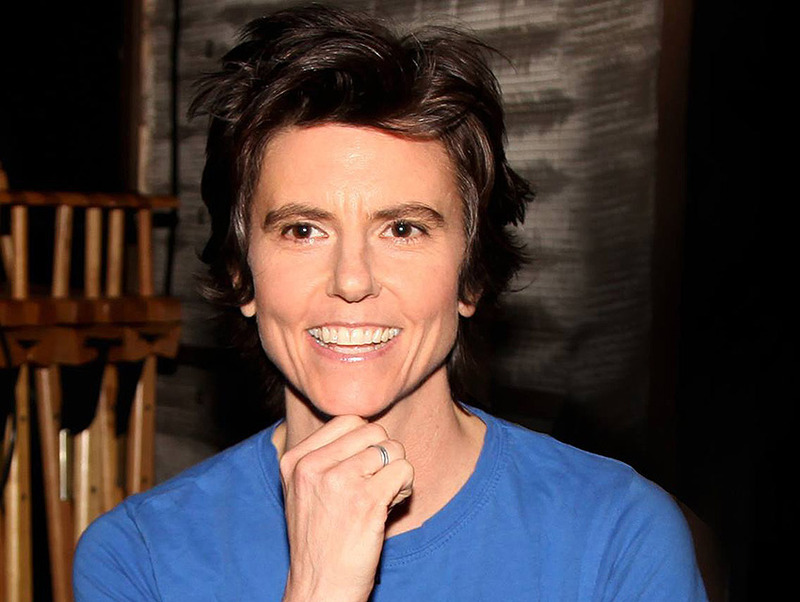 This year, Notaro is getting a new kind of attention: a documentary on her life and work, simply titled Tig, premiered at Sundance and most recently played here in L.A. at Outfest. We sat down with the comic to discuss the experience. What’s it like to have a film crew following you around? Is there a difference between sharing aspects of your personal life on film versus on a stage? Yes. Stand-up is very broad strokes, kind of a skeleton of a story or something. The documentary…yeah, it’s so different. When I agreed to do the film, I thought that because I had been through so much bad stuff, it would have a “career highlights on my way back up” type feeling. I didn’t consider that life is not that structured. Was it an adjustment to open up to the filmmakers? The movie incorporates a lot of mixed media materials—text messages and home videos and such. What was the process that went into cobbling all that together? I saw that that it could be interesting to get ahold of my texting with Stephanie [Allyne, Notaro’s fiancee] and my mother’s last phone call to me. I wanted the film to be touching and real, and I knew that those things would be helpful. The same with my old stand-up footage and all that stuff. It’s all vulnerable, but if you’re going into something like this, you of course want to make the best possible film you can. Or I certainly wanted to. I combed through all the old material. I had my assistant transfer everything. Although I made him leave the room any time it was playing. It’s so vulnerable, the early material. I literally made a rule that he had to press whatever transfer buttons and then get out of the room. He swore he followed it (laughs). After the transfer was finished, I sifted through it all, and then I pulled some parts and gave it to the filmmakers. They sorted it from there. There was stuff that was really horrible and embarrassing that they didn’t use. There were even very private moments from back when I was on open mics, from before I even started stand-up. I would film myself talking to myself alone in my studio apartment, using a flashlight as a microphone. I thought for sure that was going to make it in, and it did for a little while, but then they pulled it. Is there anything else that you thought would make it into the film but didn’t? There’s an extended interview with my stepfather that I interrupted a few times, and we had a back-and-forth. If I could have had my way, and it made sense, I would have used a huge chunk of that interview. It really displays our relationship. It ended up being everyone’s favorite part of the movie. I feel like that in itself could have been a movie. But they had to keep the story going, and I agreed with them when they cut it. It was just one of those hard decisions. There were childhood friends of mine and other people whom I kind of wish had made the cut. But I understood when the filmmakers explained who made it in or who didn’t, and why. And they listened to me when I fought for certain things. They considered my opinions and suggestions. There were so many storylines for [writer] Jennifer Arnold to deal with, and she really came in and streamlined everything beautifully. Are there any parts of the finished film you find difficult to watch? Next articleLA By the Slice: What’s Distracting Us While Watching Christian Marclay’s The Clock at LACMA?